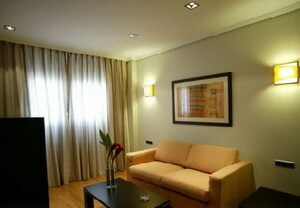 Located 300 metres from 16th-century Almeria Cathedral and 800 metres from the Harbour. 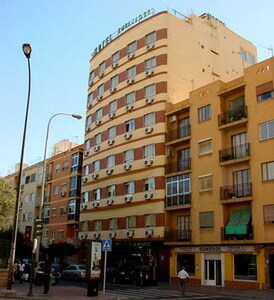 Almeria’s Railway Station is 50 metres from the hotel. 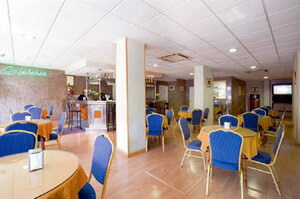 Almeria Airport (Lei) is eight kilometres away, with an approximate driving time of 15 minutes. 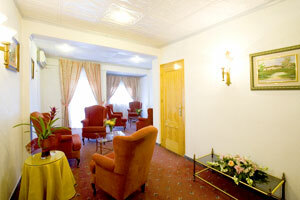 Hotel Features: The Cafeteria Embajador serves a selection of coffees, drinks and snacks. 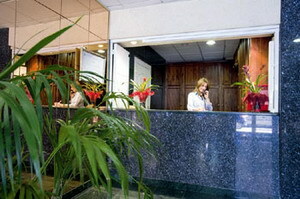 Staff at the 24-hour front desk are on hand to offer sightseeing advice and arrange dry- cleaning services. 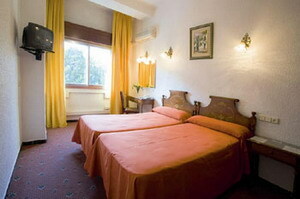 The hotel also offers laundry facilities and babysitting services. Expert Tip: Climb the hill behind the town to the Alcazaba Fortress - The effort required is more than repaid by the panoramic views. The fortress was originally built by Abd-er-rahmán Iii in the 10th century. Guestrooms: The 67 guestrooms over eight floors have simple, light decor and contemporary furnishings. All include climate control, televisions, telephones and private bathrooms. Getting There: Taxis are available at the airport and the fare to the hotel is typically 12 Eur.